At your hotel, motel, inn, lodge or B&B, you want to provide the most appealing amenities as you can. Now, it’s possible to afford premium bath towels at an economical price. 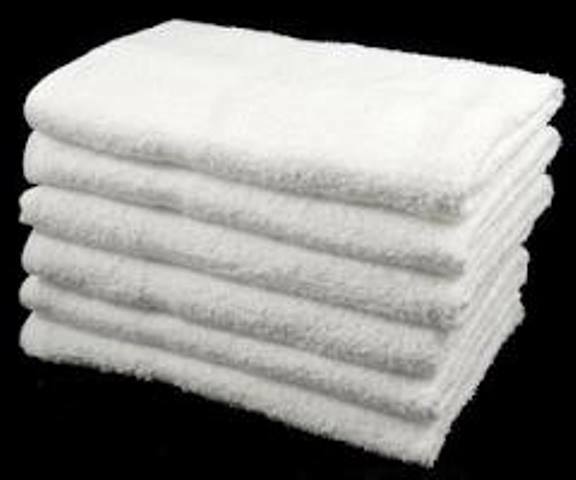 Towel Super Center offers white, fluffy bath towels made of 100% cotton. Each towel is 27” x 54”, and units are sold in packages of one dozen towels. This allows you to easily purchase as many of these soft and pampering premium bath towels as you need. Place your order online today. In just a few minutes, you can have the hotel bath towels you need to impress even the pickiest guests. It’s very soft. This is great for all guests — especially those who have sensitive skin. It holds up. Hotel bath towels get tons of wear. Now, you won’t have to keep replacing them as often. It cleans well. Cotton is known for resisting stains, which makes it simpler to keep clean. It looks attractive. First impressions definitely matter! Make a great first impression with 100% cotton bath towels. You can use these towels anywhere in your hotel, from rooms to the pool or the gym. Let necessity be your guide, and get the right number so you’ll never be without a premium towel for a patron! So Many Practical Uses for Wholesale Hotel Bath Towels! Did you know that you can use our wholesale premium bath towels in plenty of places around your hotel? In fact, you might be surprised at some of the locations our clients regularly place towels for use by guests, employees and vendors. Guest Rooms and Suites. Obviously, the most frequent use for any premium hotel bath towels is in your hotel's rooms. Be sure you put enough towels in for each guest. At 27 x 54, these 100-percent cotton towels should be large enough to accommodate one adult's needs. Gym and Fitness Areas. Do you offer your guests complimentary access to a fitness facility with cardio equipment and weights? They'll definitely need some towels to wipe off, and sometimes they want something larger than a hand towel. That's where a wholesale premium bath towel can be a lifesaver! Pool Areas. Never expect your guests to bring their bathroom towels to your indoor or outdoor pool areas. Instead, supply them with the premium hotel bath towels they need to dry off after a swim. Locker Rooms. Do you offer locker rooms as part of your fitness offerings? You'll definitely want to stock up on wholesale bath towels for your visitors. Front Desk. So many times, spills happen at or near the front desk. Whether it's a child's sippy cup that tipped over or an employee's own mug of coffee, it's important to clean up the mess as soon as possible. Having a wholesale premium bath towel in white, which can be easily brightened with a bleach alternative, will be greatly appreciated. Where will you place your premium hotel bath towels at your business?